Humans have always been attracted to symmetry. It’s been a key component in how we’ve assessed beauty since antiquity (and likely before), and, unsurprisingly, research has actually shown that we tend to find more symmetrical faces to be more attractive. However, we actually find perfectly symmetrical faces to be less attractive than slightly asymmetrical faces; perfect symmetry is disconcerting in a way. Why? Probably because no human face is perfectly symmetrical. More importantly, to actually get into the meat of this article: No human is perfectly symmetrical. And that’s okay. A lot of lifters are concerned about asymmetries. Maybe they generally deadlift with the same hand under when they pull with a mixed grip, and they’re concerned about their back developing unevenly. Maybe they feel most of the weight shift to one leg when they squat. Maybe the bar doesn’t go up perfectly evenly when they bench. They wonder whether those imbalances are going to hinder their performance, and whether those imbalances are going to lead to injury. Here’s the takeaway of this article in one sentence: As long as the imbalance isn’t causing pain, it’s not worth worrying about. Probably. This article is only dealing with side-to-side asymmetries, not asymmetries across a joint. For example, it addresses how your right leg moves versus how your left leg moves, not the strength of the quads relative to the hamstrings (which may predict your risk of hamstrings strains or ACL injuries, though the evidence is mixed on that subject). Side-to-side asymmetries have been recorded in soccer players, overhead athletes, Australian rules football players, softball players, and non-athletes. The source of those asymmetries isn’t hard to guess: We all have a dominant side of our body. Even if you’re ambidextrous, you likely use one hand more than the other. We spend our whole lives writing with one hand, throwing with one hand, favoring one side when we kick things, rotating to one side to swing a bat, mostly shifting our weight toward one foot when we’re standing relaxed, etc. The results imply that long-term asymmetrical low-level daily demands on muscles of the left and the right lower leg in right-handed individuals provide enough stimuli to induce an enlargement of the muscles on the left side, and that this enlargement is due to an increase in the number of muscle fibres (fibre hyperplasia). Keep in mind, these people didn’t do any dedicated tibialis anterior training. They just wound up with more muscle fibers on one side of their body from simply living and being asymmetrical creatures. On top of side-to-side strength imbalances, our bone structure itself (often) isn’t perfectly symmetrical. Most people’s femurs are rotated a bit differently on each side (scroll down to the second chart here). Most (about 90%) people have a leg length discrepancy, with the average discrepancy being about half a centimeter. There are probably many more bony structures that are frequently asymmetrical; those were just the first two that came to mind. So, how do these little imbalances manifest themselves when we lift? If you guessed “our bodies aren’t symmetrical, so we don’t lift things symmetrically,” you’d be right. Let’s turn our attention to this study, which examined differences in kinetic variables in the squat. The researchers recruited 18 people (9 men and 9 women) who had at least one year of experience squatting. Their average 3rm squat was roughly 115 kgs which, considering the gender split, is pretty solid. The women’s 3rms were mostly in the high 100s and low 200s lbs, and the men’s were mostly in the low 300s lbs. These people were far from world-class, but they had clearly put some work in under the bar. The participants squatted three reps with 25%, 50%, 75%, and 100% of their 3rm. The researchers looked at: average joint moments at the hip, knee, and ankle; vertical ground reaction forces for each foot (how hard they were pushing through the floor with each foot); center of pressure for each foot; and maximum flexion angle at the knee, hip and ankle. They reported both average differences, and the patterns exhibited by each lifter. All except one of the lifters were righties. Center of pressure shifted forward for both feet as weight increased, but, on average, it was slightly farther forward on the left foot at all loads. It started about one centimeter farther forward with the lightest load, and that gap closed to about half a centimeter with the heaviest loads. Vertical ground reaction forces were slightly higher for the left foot as well, on average, and the difference wasn’t affected by load. There were slight differences in maximum joint flexion angles, but most of those differences were not significant (either practically or statistically); the differences were rarely larger than 2-3 degrees. The most interesting differences were in average joint moments. 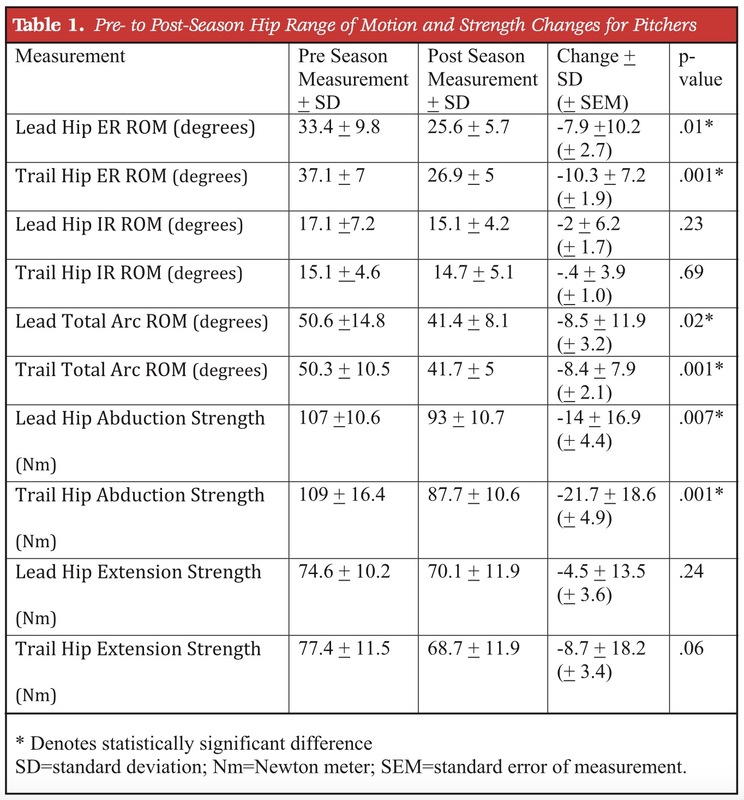 Instead of the relatively minor differences we’ve seen in every other variable, there was actually large and meaningful variation here: differences of 12-17% side-to-side, with the left hip extensors, right quads, and left plantar flexors, on average, carrying more of the load. This would indicate, at first glance, that there were roughly 15% side-to-side differences in strength (although something like a leg length discrepancy or a movement restriction in a particular joint on one side could also contribute). However, this pattern isn’t 100% consistent. The researchers also reported the number of individuals that produced more torque on one side or the other. A bit less than half of the participants were pretty balanced at the knee and ankle, but all but one of the participants distributed more of the load to one hip or the other. When you take into account the people with equal average joint moments on each side, and the people who shifted more of the load to the right hip, left knee, or left ankle (since the group averages favored the left hip, right knee, and left ankle), the differences in average joint moments for the people who did favor one side or the other was necessarily larger than the 12-17% group averages; the differences were probably closer to 20-30%. The authors point out that even though there were several people with roughly equal average joint moments at the knee and ankle, and one person with equal average joint moments at the hip, nobody was balanced across their body at all three joints. For something like bodybuilding or physique sports where a lot of your success is based on the bilateral balance of your physique, then yes, obviously muscular symmetry matters. Does symmetry matter for strength? That’s not as straightforward. To the best of my knowledge, there hasn’t been any research carried out to answer the question of whether better lifters are more balanced than worse lifters. In my humble opinion, I doubt it matters all that much. Yes, you can tear this next statement apart for only providing anecdotal support, but some of the strongest lifters I know – and some of the strongest lifters of all time – had or have very obvious asymmetries. Lamar Gant is an obvious example. His asymmetries stemmed from scoliosis. This helped his deadlift tremendously, since his spine would compress and shorten his range of motion. However, he also squatted 595 at a bodyweight of 132 in first-generation powerlifting gear (and over 500 lbs without gear) and benched 336. He is, to the best of my knowledge, the last person to hold the all-time world record in all three lifts in a single weight class simultaneously. In fact, just about every weightlifter has large asymmetries (they may just not be quite as obvious on video as Süleymanoğlu’s) since all of them that do a split jerk always catch the bar with the same foot forward. In spite of this asymmetry, the best weightlifters are all still really freaking strong. I absolutely wouldn’t put myself on the same level as Gant or Süleymanoğlu, but I’ve managed to lift some reasonably heavy weights (750 squat, 475 bench, 725 deadlift), and have some noticeable asymmetries from playing baseball (always rotating to the same side when pitching, hitting, or throwing) and my hobby of chopping down trees when I was a kid (I was weird and grew up in the woods). My left oblique hangs off my hip like a pork loin while my right one is more normal, my hips are noticeably rotated, I have some weird upper body imbalances (again, related to throwing), and my right hip extensors and abductors are noticeably stronger than my left hip extensors and abductors (always pushing off my right leg for rotational activities). Could it be that lifters with greater side-to-side balance are stronger on average? Maybe. But my hunch is that getting closer to some semblance of balance would primarily only matter if one side was just so weak that it obviously keeps you from completing a lift: For example, if one arm just won’t lock out nearly as heavy of weights in the bench press (not just a little unevenness of the bar during the press), or if one hip simply won’t lock out at the top of the deadlift. Does symmetry matter for injury risk? It’s hard to say. Some studies (like this one) indicate that asymmetries do increase injury risk (at least of hamstrings strains). Others (like this one) show that in some contexts, symmetry actually increases your risks (of lower back pain, in this case). Others show that it doesn’t really matter. To compound matters, a lot of studies aren’t particularly well-controlled in a few different ways. Some look at the differences between injured and non-injured people, and find that injured people have larger imbalances, but that type of study design doesn’t tell you whether an asymmetry caused the injury, or whether the injury caused the asymmetry. 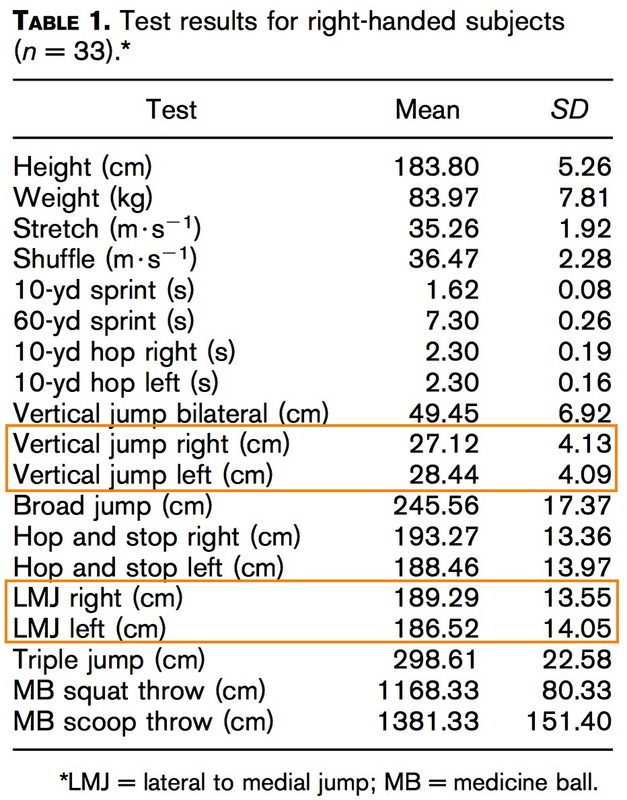 Others that have the proper design (test for asymmetries before, let the people train/compete, and then see how many injuries occurred) have small samples so that one or two injuries really affect the numbers; since a low percentage of the athletes will sustain a particular type of injury in a single season, you need to have a huge sample of athletes to have a lot of statistical power. And, keep in mind, most studies look at risk for a particular type of injury, not all injuries in general. It’s even harder to say for lifters (which is who this article is for). It does seem like, in general, side-to-side imbalances in either hamstrings strength or hip mobility may increase your risk of hamstrings injuries or pain (knee or back) from running. However, the hamstrings injuries occur primarily when people are sprinting or changing directions, and the knee or back pain likely results from the massive number of repeated impacts – several thousand impacts each time you run versus maybe a few dozen muscular contractions when squatting or deadlifting. If you do some sprint work or a lot of running when training for powerlifting or physique sports, that information may be relevant to you, but it doesn’t say much about your injury risk when lifting heavy stuff. On the whole, all strength sports have low injury rates, and powerlifting (which is very “balanced”) doesn’t seem to be any more dangerous than weightlifting (which is notably “unbalanced,” unless you’re one of the rare people who squat jerk or power jerk instead of split jerking). To put the numbers in context, long-distance runners are injured at a rate of about 2.5-12.1 injuries per 1,000 hours, triathletes at a rate of about 1.4-5.5 injuries per 1,000 hours, and most team sports have injury rates that are considerably higher (click on the link in the picture caption for more information). For most people, side-to-side imbalances probably don’t affect injury risk from picking up heavy stuff all that much. I’m not aware of any studies examining this issue directly (testing muscular balance, letting people train for a year or two, and then seeing how many of them got injured), though, so that may not be the case. My hunch is that the imbalance would have to be pretty large for it to make much of a difference. More than anything, until there’s solid data showing that imbalances do affect your injury risk, you probably shouldn’t worry about them too much because we do know that the nocebo effect (expecting something to cause pain/injury, even if it shouldn’t mechanistically) does considerably increase your risk of actually winding up in pain. But I still want to be balanced! Maybe you are one of those people with an extreme imbalance that keeps you from completing a lift (an arm that won’t fully extend for reasons other than injury when benching, for example). Maybe you’re trying to achieve greater balance for purely aesthetic reasons (which is perfectly valid. When I trim my beard unevenly, I feel like an unkempt vagabond, so I feel your pain). Maybe you’re just making sure you’re covered, in case imbalances do turn out to increase injury risk (better safe than sorry, after all). Maybe you’re recovering from a previous injury, and have a strength deficit you’re trying to close as you return to form. Do more work with dumbbells. When you’re benching, doing pullups, curling or rowing with a barbell, etc., your stronger side can pick up some of the slack. With dumbbells, both sides have to pull their own weight. The common method for using dumbbells is to stop a set when your weaker side gives out on you. If you’re trying to correct a weakness, I think you’re better off doing as many reps as your strong side can manage, then closing the gap and doing a little bit extra with your weaker side in a separate set. For example, if you’re dumbbell benching, and your left pec/triceps fatigue after 8 reps, but you can get two more on the right side, go ahead and do those two extra reps with just your right arm. Then, after a bit of rest, do 4 more reps with just your left arm. This way 1) you make sure you’re still making your strong side stronger and 2) you’re doing extra work to make your weak side stronger as well. If this doesn’t appeal to you, you can just do an extra set or two of each exercise with your weak side. Make sure your core is balanced. For most people, bracing the torso is a largely automatic process. If muscles on one side are contracting a bit harder, that can elevate one hip a bit, or rotate your pelvis relative to your torso a bit (or your torso relative to your pelvis, however you want to look at it). Asymmetrical torso exercises can help with this. Two exercises I’ve gotten a lot of bang-for-your-buck from are half-kneeling chops and lifts. This is a good demonstration. Other great options are suitcase deadlifts, suitcase carries, and dead bugs. For the loaded core exercises, just make sure that the load you’re using is light enough to largely keep your shoulder and hips level and not rotated. Exercises with a band just below your knees. I’ve found that this little tactile cue helps considerably with “feeling” when one hip is working harder than the other. Here’s a video of how it looks when squatting. It works quite well for sumo deadlifts (generally with higher reps) and hip thrusts as well. More unilateral exercises. Split squats, lunges, and single arm rows get a lot of love, but there are a lot of other good options. I think single arm pulldowns are way underrated for people with some shoulder tightness (letting your scapula elevate and your lat stretch at the top of each rep), and that single leg RDLs are generally a great lift for people who deadlift sumo or squat with a wider stance. Try to let the opposite hip rotate toward the floor so the hip you’re loading internally rotates. This will take your hips through a ROM they’re not used to (for most people, their right hip especially) and really help strengthen your external rotators. I’ve found this to be helpful for people whose knees often cave at the bottom of a squat; when their external rotators get stronger and they learn how to consciously control them better, they have an easier time actively abducting and externally rotating their hips when squatting. Humans are simply asymmetrical creatures. Almost everyone has strength imbalances and lifts unevenly (even if it’s not immediately apparent visually). Side-to-side strength imbalances probably don’t affect how much you can lift in bilateral exercises (like the squat, bench, and deadlift) all that much unless you have huge strength asymmetries. Side-to-side strength imbalances may affect injury risk when sprinting or jogging, but they probably don’t affect injury risk from lifting very much (or, if they do, I wasn’t able to find any data on it). There are a few simple strategies you can use to improve side-to-side muscular and strength balance if you want to achieve more balance for its own sake. Great one! Having a huge asymmetry i have been waiting for an article like this for years. I presumably got injuries from that more than once though, the gap in my left-right lower body strenght is abysmal, as it’s clear when I do any unilateral isolation work. Thanks for the great article, as per your usual standard. This piqued my curiosity, and now I’m wondering/hoping: do you plan to address the issue of muscular asymmetries across joints or body parts? For instance, it’s a common dogma in the S&C world that doing too much pushing and not enough pulling (so, bench vs rows, or overhead press vs pull-ups) increases injury risk and limits strength development. I’m not sure I’ve ever seen any real evidence for this claim, though. I’d love to hear your take on it, perhaps in a follow-up article. Probably not. Not my area of expertise. Awesome article Greg. Do you think people with one leg longer than the other should squat/deadlift like normal, or with the one foot slightly in front of the other, as it would be if they were standing? I know Dmitry Klokov actually does this with all of his sqiatting/pulling. How do you feel about that? Despite the significant amount of work right handed pitchers do pushing off with their right leg, you don’t find notable differences between legs. Between the natural tendency for the opposite leg to be stronger, the landing leg doing a lot of work accepting all the force from generating the throw, and it actually engaging in significant extension to further help the throw (Verlander’s left leg: https://www.youtube.com/watch?v=mbVQc2gYjFQ (we can see pitchers acquire plane specific jumping performance)) you don’t find noteworthy differences between sides strength wise. Huh. That’s interesting. I’d be interested to see how the testing was done, though, since there’s clearly a skill component to strength as well. It wouldn’t surprise me if there wasn’t much of a difference for open kinetic chain exercises, but there was for closed kinetic chain exercises.